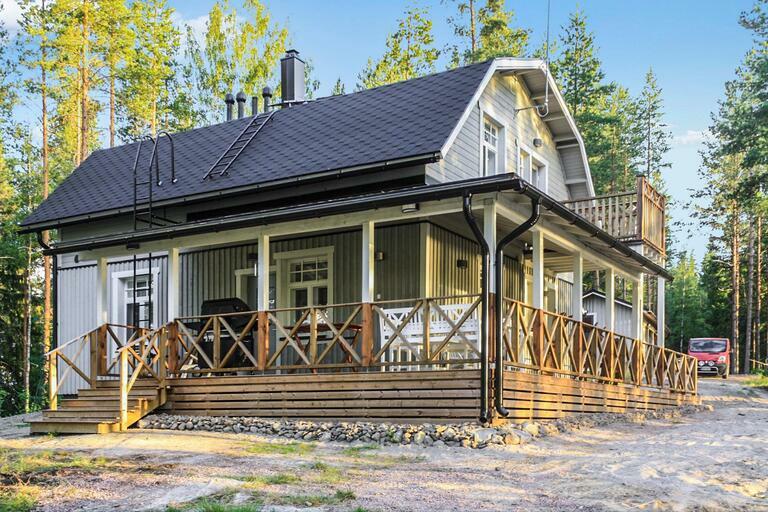 67 km Northwest of Mikkeli, Puulavesi 40 m, hard-deep-sandy-mud-bottom, own boat. 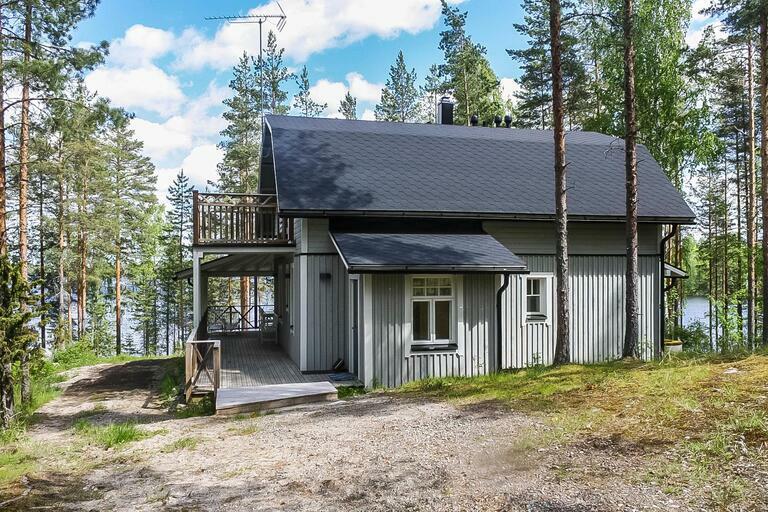 Log cottage (2 floors), built 2012, living room, kitchen, sauna, washroom (2 showers), dressing room/utility room, terrace (35 m²). Bedroom (upstairs): double bed, Bedroom2-3 (upstairs): 2 beds, Lobby: sofa bed for 2. 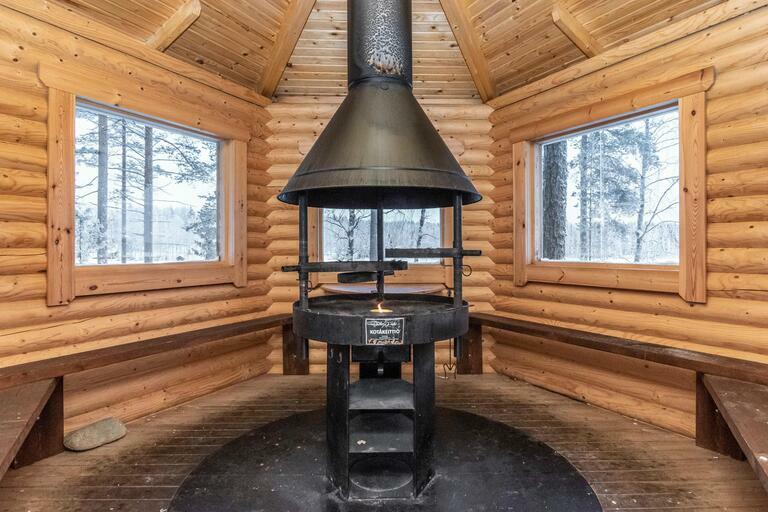 Sauna by the lake (wood heated), dressing room, refrigerator, stove, terrace, distance to the beach 10 m.
Grill hut. Outdoor toilet, storage. 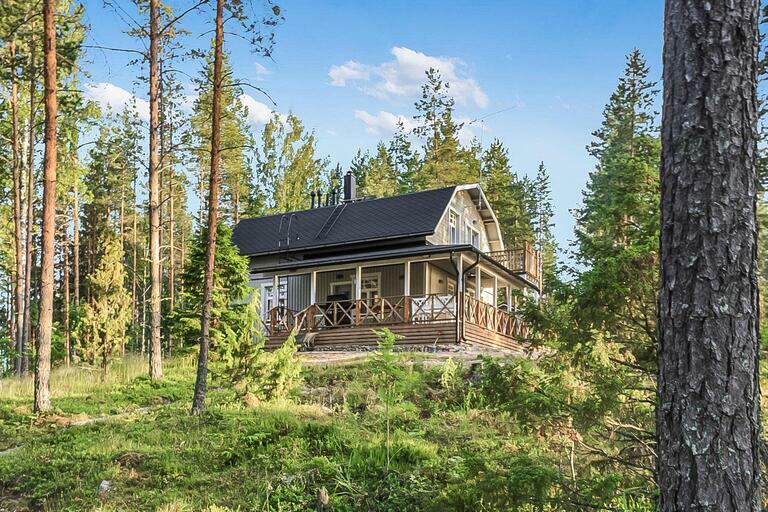 Log cottage near forest. All bedrooms are upstairs. Karaoke, PlusTV extra tv-channels, central vacuum cleaner, air condition. 3 fishing lisence, 2 bicycles are available for customers. You can rent outboard (2,5 hp), boat and canoe from the owner. Owner have a organic farm and from the farmshop you can buy for example strawberries, juice and muesli. 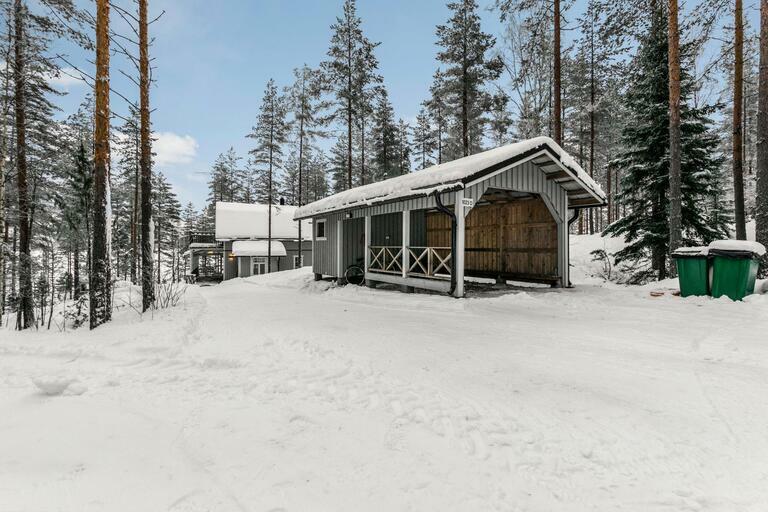 Kangasniemi 17 km, ski center Häkärinteet 45 km, Visulahti 75 km, Mikkeli 65 km.